Over the years of working in the UK as a Dispensing Optician, I have always felt that children and their vision have a very important place in an optical practice. The company that I worked for in the UK always enjoyed a great relationship with local hospitals and therefore had many children recommended to our doors. It was also a great opportunity to serve the whole family with eye care needs. Having married a year ago and moved lock, stock and barrel to Prague, I wanted to continue my work as a dispensing optician and help both parents and their children. It was important to find a family minded team with whom to work and I feel I found just the company and its team!! Recently I put together a short presentation on children’s eye care and thought I would pass on a few thoughts I gained along the way. From what I have read and experienced, children‘s vision is one of their most important senses. About 80% of children‘s learning comes through their eyes. Good vision is important for your child to develop to their full potential in every area of life! 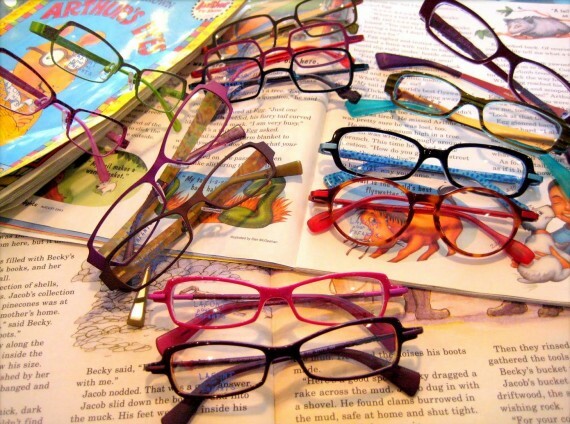 Vision problems can really affect the learning process and are common in school-aged children. It is also common in the first 6 months for your child to show a strabismus or squint as he or she learns for the first time to use both their eyes together. Also their flat bridge (or nose) in early years may look as though a squint is present. 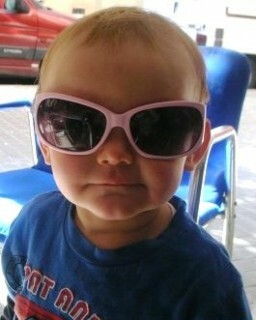 As your children reach school age it is likely that they will be a little longsighted. Their distance vision is better than close up. 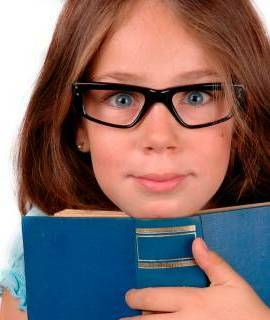 About 6% of longsighted children may have a higher degree of longsightedness, with poor distance and close up vision. If your child is found to be shortsighted , it is a common fact that about 85% of all shortsighted children have at least one shortsighted parent. Early sight checks are vital. If you are thinking “When should I start having my child’s vision checked?“ The first visual check up can be carried out at 2 ½ years, then again prior to starting school. 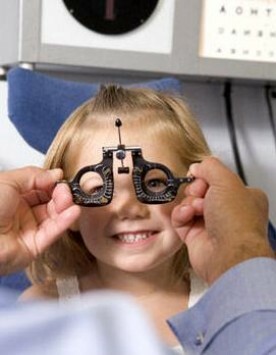 After this, it is suggested to have your child checked every 6 months if a visual problem is found. If no problem is found, then once a year is perfectly OK. Check if he or she is squinting when looking at a distant object. Check if he or she is sitting too close to the TV. Check their vision in darker lighting conditions. Finally remember that good vision habits are always a winner, even if they seem so obvious!! Good Lighting – never have light reflecting on a TV screen or computer screen. Good Distance – make sure your child is sitting at least 1.5m back from the TV or computer…or as is reasonable. Good Breaks – encourage your child to stand up and walk around every 20 minutes, if they are on the computer for extended periods i.e. games. Good Exercise – encourage your child to play outside sports. This will exercise many aspects of the child’s visual development. Your kids only have one set of eyes, and like them, their vision is so precious. Don’t worry if your child does have a visual problem as today’s spectacles can be so much more fun than when I was a little short sighted lad! !